ANDRIY.CO - Work TCU-3 with the database MS SQL Server 2005. Part 1. 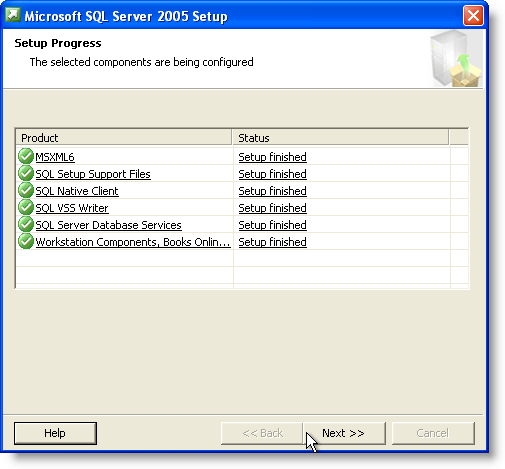 Work TCU-3 with the database MS SQL Server 2005. Part 1. 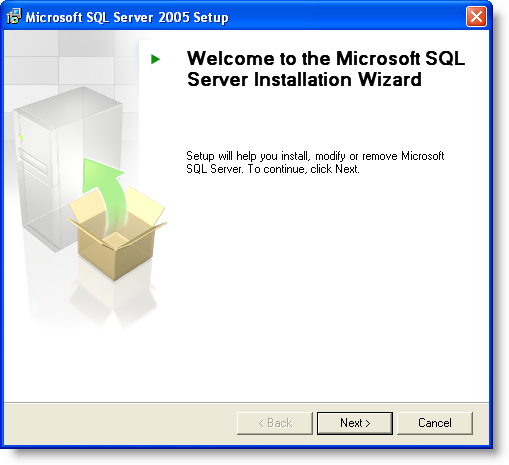 In this part of a series of articles describes how to install and configure MS SQL Server 2005, and the creation of a database TCU-3 and connect to it. 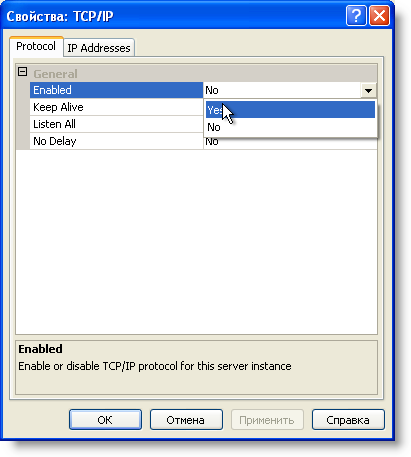 An alternative location TCU on the SQL server. Also attached is a video tutorial that shows the complete sequence of actions described in the article. In the editorial "Network" and "Ultra" TCU supports DBMS companies © Microsoft - Microsoft SQL Server, as well as its free edition - SQL Server Express Edition, which has some technical limitations, but quite suitable for conducting software systems across a small company. Discuss the advantages and disadvantages of using MSSQL to other databases are beyond the scope of this article and will not be given here. We only note that this is one of the most common management systems relational databases, with its high speed, safety and reliability in multiplayer mode. 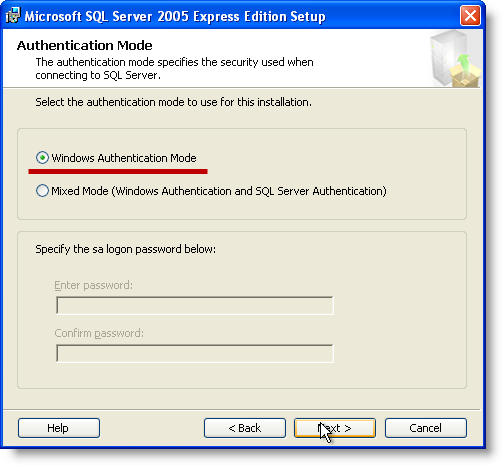 Example installation will lead to Windows XP SP3. Links to the distributions shown for 32-bit versions of Windows XP, but on manufacturer's site you'll find links to the distributions for other variants of the OS - supported by all client and server Windows. 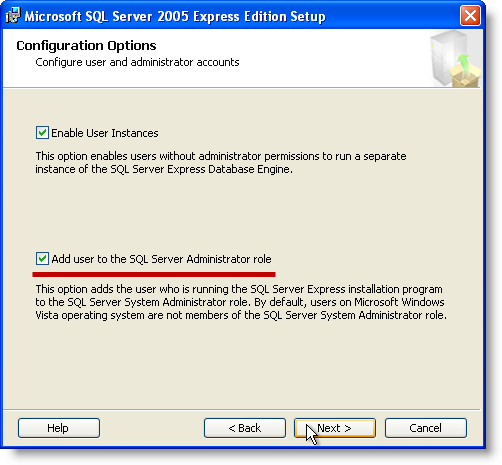 In the example, the installation will be carried out free Editorial SQL-Server - Express Edition. 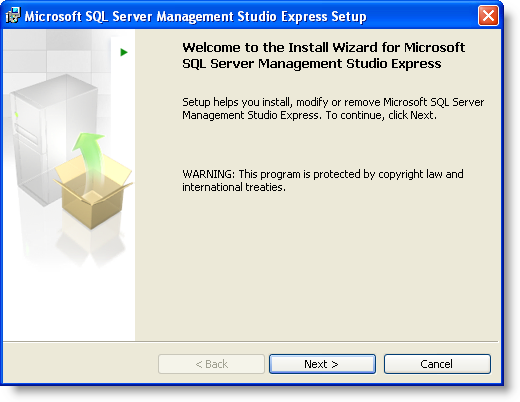 Installing the full version of SQL-server is not fundamentally different and can also be used by you in their activities. 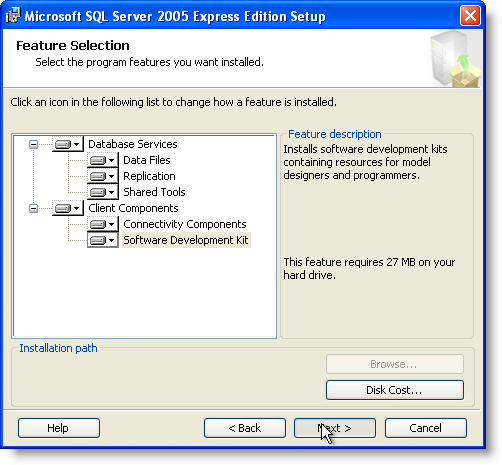 Later in the article, if it is not stated separately, the term "MSSQL Server" or simply "SQL Server" will be implied and the commercial version of MSSQL Server 2005 and MSSQL Server 2005 Express Edition at the same time. 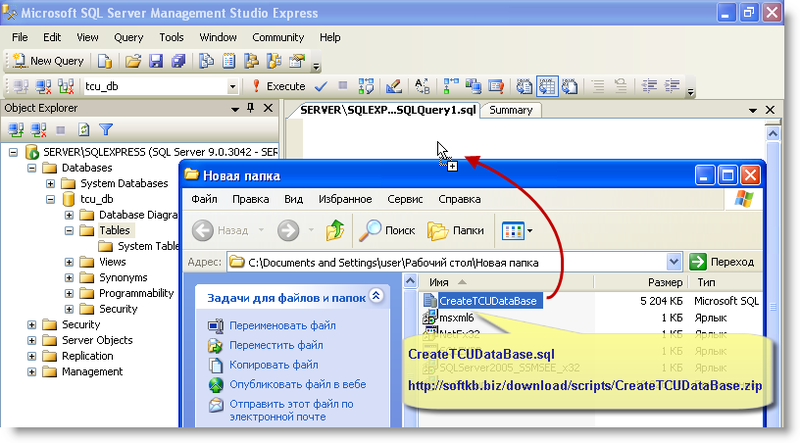 SQL Server Management Studio Express - link. 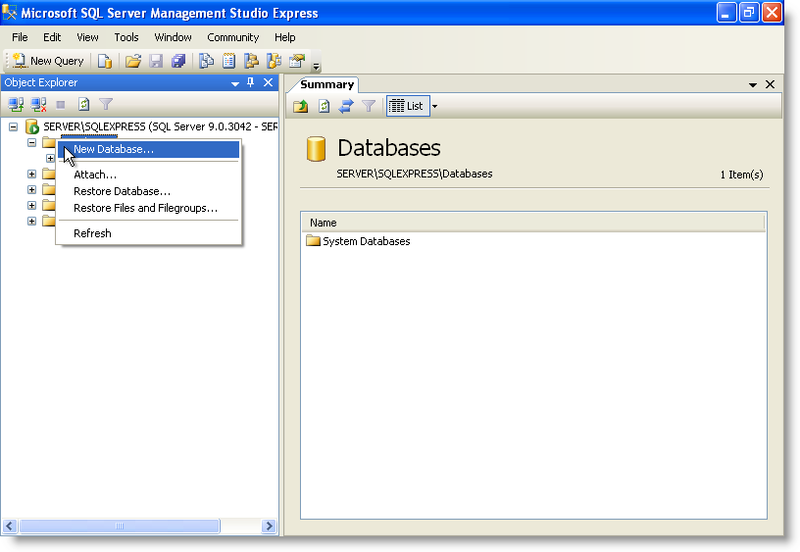 Before installing SQL Server Management Studio Express may need to install MSXML 6.0. Badges green in paragraphs list and the status of "Setup finished" indicate the successful installation of each component. Complete the wizard. list for the parameter "Start Mode", select from the drop down list value of "Automatic", then click "Apply" and "OK"
Next step is to create a database TCU. 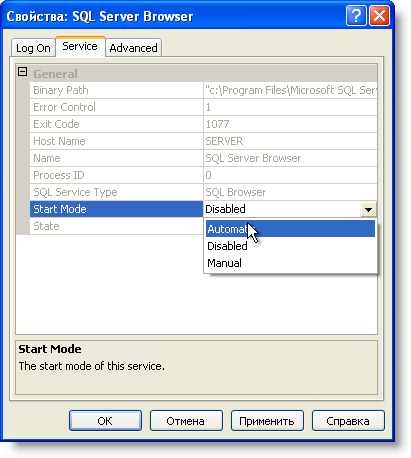 In this case there are two ways of creating a database - with the help of a script in SQL Server Management Studio or to convert it from the database format MS Access. The second way to survive not only the structure, but all your data have been previously entered in the database. This method will be discussed in the next article, and now dwell on the creation of a database that has only the necessary structure. Typically, this option is used at the beginning of work and data entry from scratch ". 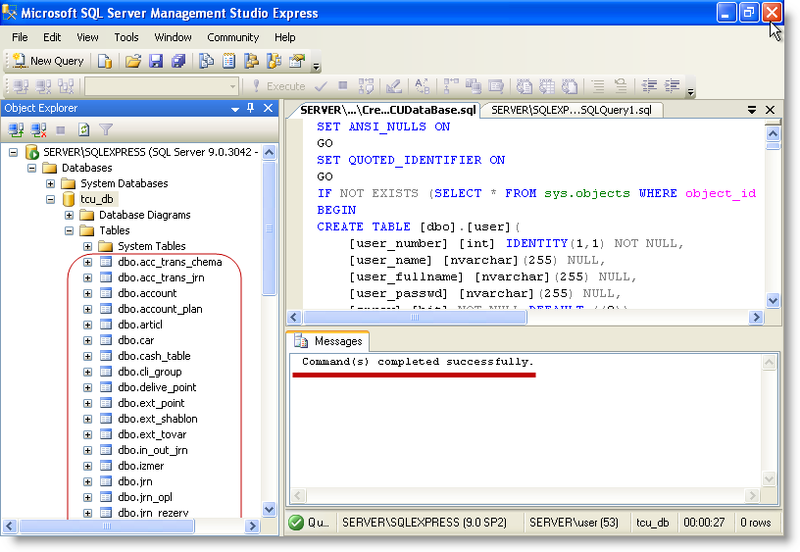 Close SQL Server Management Studio and navigate to the final section of the article. 5. Installing TCU-3 and the connection to the database. Set TCU-3 from distribution, downloaded from Site SoftKB. After installation is complete, open the program TCU-3. 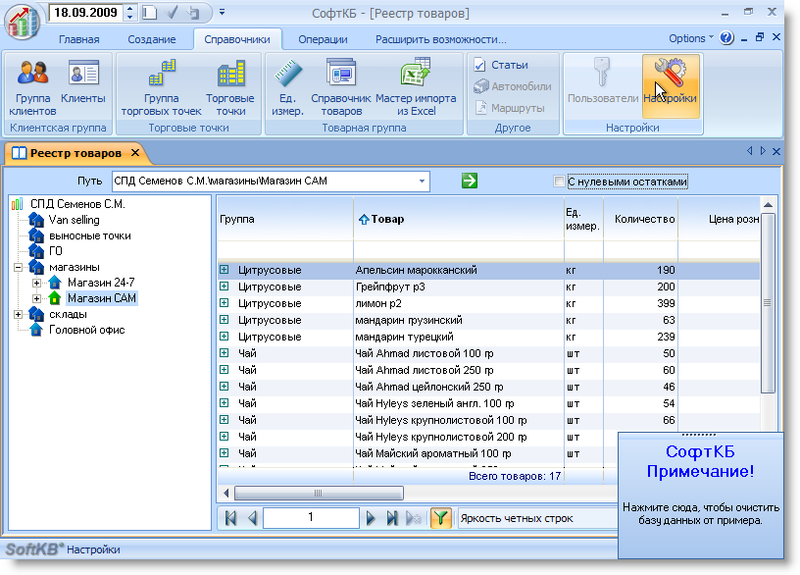 You will see data on retail outlets, products, customers and others from the demo database from the distribution program. 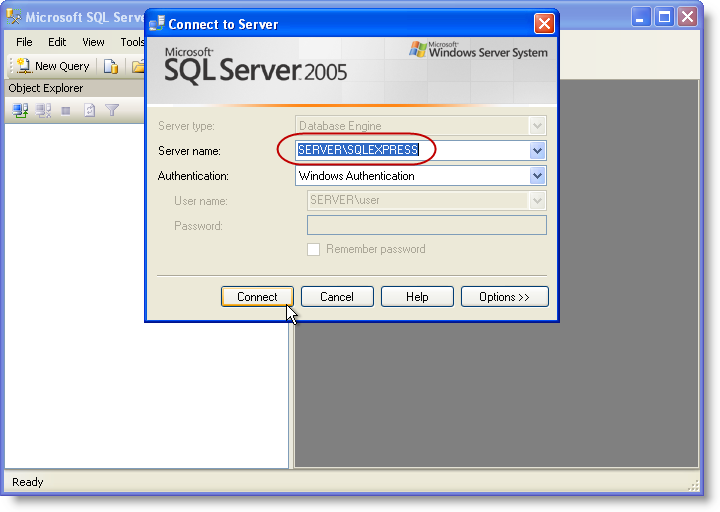 To connect to a new database on SQL server, click on "Directories" - "Options"
To double check the correctness of the entered data and click "Test Connection". You should see the message "Test connection was successful." Then click the "Save connection string" and restart TCU-3. After restarting TCU will reveal details of the new database. Since no data are not there yet (we have created only the structure of the database) it will start filling the master directories. 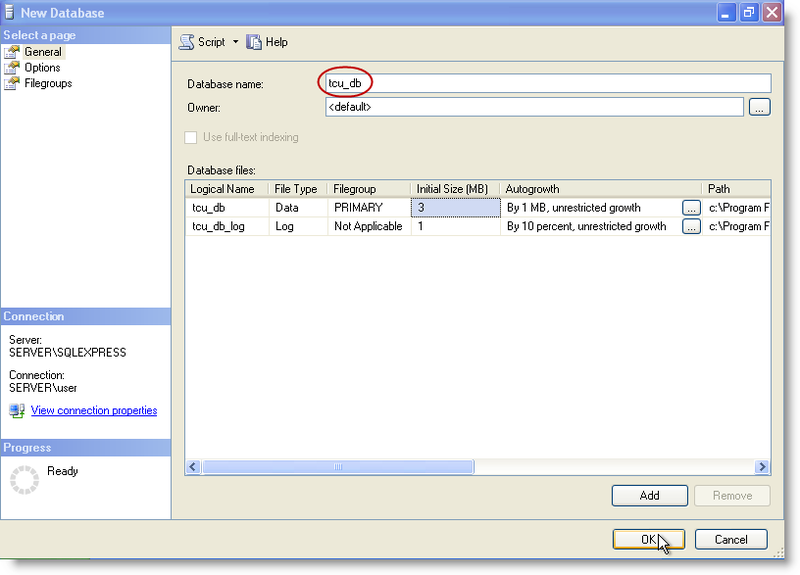 Follow the wizard steps and enter the data into the new database. To facilitate the perception of the material presented recommend to view a video tutorial showing the steps in this article from first to last paragraph.